English Toy Spaniels are the dogs of royalty. They were bred to provide companionship for Kings and Queens. For example, they were a court favorite with King Charles I and Queen Elizabeth. They were often given as gifts among the aristocracy and nobles. Like many toy breeds, they bond fiercely to their guardians and can be standoffish with strangers. They make wonderful lap dogs, but they are not the right choice for every family. 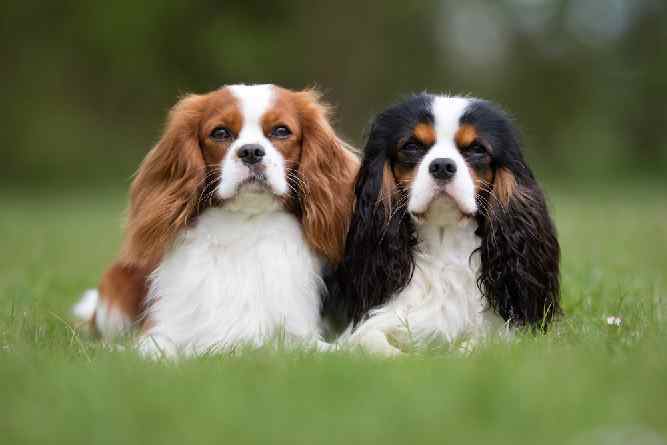 Let’s take a closer look at the English Toy Spaniel Temperament before you bring one home. The English Toy Spaniel has a regal bearing. He bonds closely to his family, but he can be aloof with new people. The English Toy Spaniel loves to be on his master’s lap as much as possible. He is finicky about other people, and you must win his trust. When he is with his trusted guardians, the English Toy Spaniel is happy and goofy. At home, he is a clown that will delight his owners with his silly antics. He is compatible with gentle children as long as he is socialized from an early age. Children must be supervised closely because they can accidentally injure this delicate toy breed. The English Toy Spaniel forms a deep bond with his owner. He wants to be with that person as much as possible. He thrives with human attention, and he can become depressed or anxious if he is left alone for too much of the day. Legend has it that an English Toy Spaniel accompanied Mary, Queen of Scots to her execution because it refused to leave her side. The ETS has a bold and confident temperament. This little dog does not tend to be shy or retiring. He eagerly marches into new situations to assess the scene. He will bark to alert his owners to anything abnormal. The English Toy Spaniel is a very old breed. A statue dating back to the Crusades depicts a small spaniel at the feet of a Knight. Throughout its history, the English Toy Spaniel was never bred for any sort of work other than companionship. It is a true lap dog. The royal families of Europe have been breeding toy spaniels for centuries. These little dogs often graced the canvases of paintings from the 1600s and 1700s. At some point, European spaniels were crossed with small Asian breeds such as the Pug and/or Japanese Chin. The result was the snub-nosed ancestor of the English Toy Spaniel dog. The breed made its way to America and was recognized by the American Kennel Club in 1886. It was one of the first breeds in the Toy Group. The English Toy Spaniel is a petite, pug-nosed spaniel. It should weigh no more than 14 lbs and stand no more than 10 inches tall. The ETS is renowned for its silky ears, domed head, large eyes, and chubby cheeks. It comes in four color varieties and each variety has its own name. The red and white variety is called the Blenheim. Black and tan coats are called the “King Charles” variety. This was supposedly the favorite variation of King Charles. A coat that is white, black and tan is called the Prince Charles. Solid red English Toy Spaniels are referred to as Ruby. 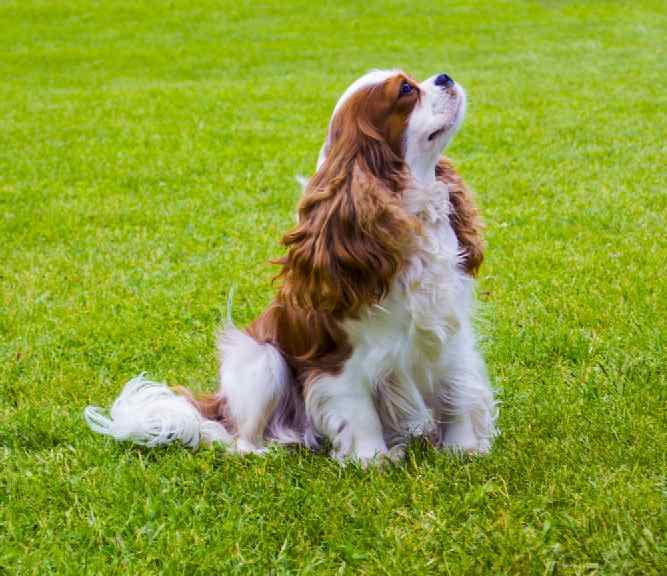 The English Toy Spaniel has a long, silky coat that requires frequent brushing—at least two times per week. If it is neglected, the coat will quickly form painful mats. The long fur will need to be trimmed periodically—especially around the ears, feet and sanitary region. You can do this clipping yourself or find a professional groomer to provide this service. The English Toy Spaniel sheds seasonally and is not considered hypoallergenic. Like all dogs, the English Toy Spaniel should receive yearly physical exams and monthly heartworm prevention. Note: if you agree that your health and your dog's health should be a top priority then get a copy of The Ultimate Guide to Dog Health. Your English Toy Spaniel friend will love you for it. With excellent care, the English Toy Spaniel can live between 10 and 12 years. The English Toy Spaniel is actually called The King Charles Spaniel in England, which leads to confusion between these two breeds. However, the English Toy Spaniel and the Cavalier King Charles Spaniel are two completely different breeds. The two breeds come in some of the same color varieties, but their body shapes and sizes are distinct. The Cavalier King Charles spaniel is larger and has a longer snout. The Cavalier King Charles Spaniel can reach up to 18 lbs, whereas the English Toy Spaniel never exceeds 14 lbs. The English Toy Spaniel’s body shape is also more compact or “square.” On the other hand, the Cavalier King Charles Spaniel’s body is longer and more equally proportioned. If you would like to adopt an English Toy Spaniel, there are a number of good options for finding your new best friend. 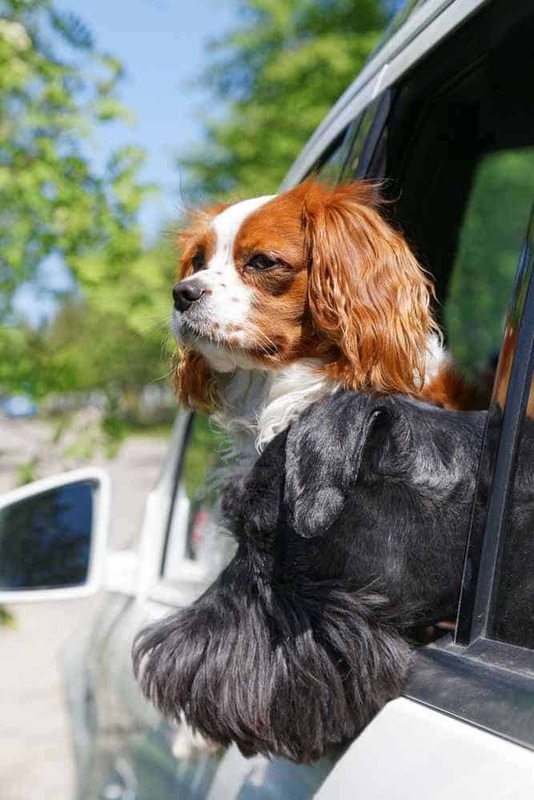 Since there are some similarities between the English Toy Spaniel and the Cavalier King Charles Spaniel, you will find some rescue groups that specialize in both breeds. 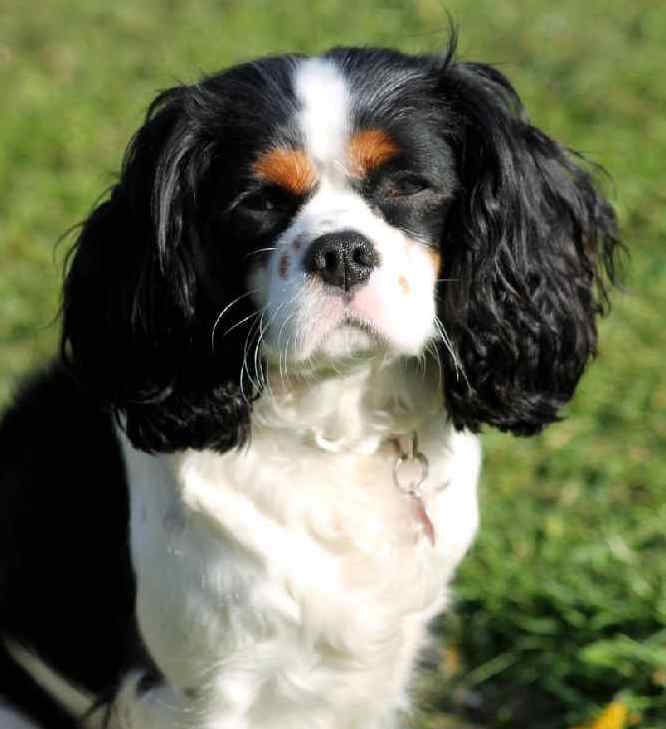 For example, Lucky Star Cavalier Rescue focuses on rescuing and rehoming both breeds. Cavalier Rescue USA is another rescue group that sometimes receives English Toy Spaniels in need of new homes. You can also search for adoptable English Toy Spaniels on Petfinder.com and Adoptapet.com. English Toy Spaniels are not common in municipal animal shelters, but it is still a good idea to visit your local shelter or humane society. 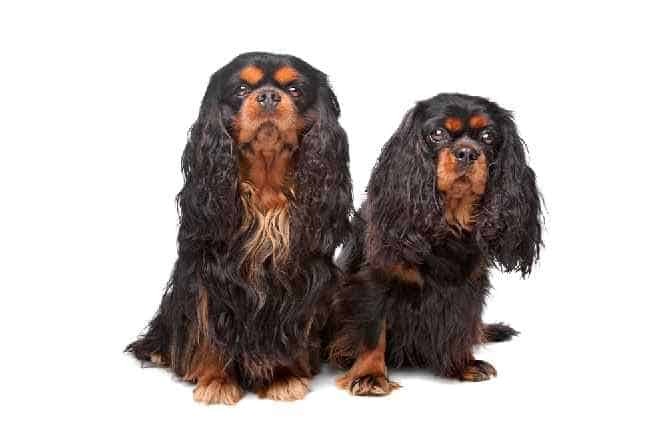 You never know what breeds they will get in, and you can leave your name on a waiting list for an English Toy Spaniel or English Toy Spaniel mix. Be sure to contact the English Toy Spaniel Club of America for other recommendations. If you choose to purchase an English Toy Spaniel puppy from a breeder, the English Toy Spaniel Club of America is also a good place to start. The members in this group can refer you to reputable English Toy Spaniel breeders. Once you identify an English Toy Spaniel for sale, make an appointment to visit the breeder. You will want to check out the premises, meet the parents, and talk with the breeder in person. Also, make sure to ask for medical records and the results of genetic testing. A good breeder will welcome your visit. They will want to meet you and ask you questions, too. Never purchase a puppy from a pet store or over the internet. You might unwittingly acquire a puppy from an unscrupulous breeding source such as a puppy mill. Responsible breeders will not always have puppies for sale, so you may have to wait until a litter is born. Your breeder will help match you up with the right puppy for your household. In regards to the English Toy Spaniel price, be prepared to pay between $1,000 and $1,800 for a puppy from a high-quality breeder. Conclusion: Why the English Toy Spaniel? The English Toy Spaniel temperament is wonderful for people who are looking for a loving and loyal lap companion. Although they are snooty with strangers, they are devoted to their loved ones. When you win the trust of an English Toy Spaniel, you will acquire a joyful friend for life!